Residential and Commercial Siding Services! Durable and maintenance free Vinyl Siding installed by Superior Siding Services gives you the look of real wood without the hassle. Vinyl Siding comes in various colors, textures and sizes to make your home unique and beautiful. Fiber cement is a composite material made from cement, sand, and cellulous fibers. This material forms a very strong, durable finished product that works perfectly as a home siding material, is maintenance free and affordable. There are few products that add classic appeal and inviting warmth in quite the same way that natural wood siding does. Cedar siding remains a top choice for home and business owners when looking for a durable cladding options. If you own or manage a commercial building, apartment complex, or any other property, ensuring the building has the right curb appeal is essential. At Superior Siding Services, we provide complete commercial siding services to help you close the deal with your properties curb appeal. Stone and brick siding is natural, incredibly unique and comes in a variety of selections. Superior Siding Services stone and brick siding is also very durable, won’t rot, or fade with exposure to the New England’s seasonal weather. It is also not susceptible to fire or storm damage. Engineered wood siding is environmentally friendly and is far less expensive than installing real wood. This type of siding is comprised of wood products, like sawdust, combined with bonding agents. The end result is a strong, lightweight alternative to wood siding at a fraction of the price. Superior Siding Services is your number one resource for making your building look beautiful. Since 2000, we’ve been helping homeowners by upgrading and installing their siding. Superior Siding Services has your project covered! Whether you’re looking for a maintenance free solution or cedar shakes we have a siding solution for you. At Superior Siding Services, we make your home look beautiful again. We are a locally owned and operated company that has been transforming and rejuvenating properties of all types including residential and commercial properties in Connecticut and Rhode Island. Our offices and siding experts are located in New London CT. We serve Glastonbury CT, Stafford CT, Ashford CT, Putnam CT, Old Sayrbrook CT, Westerly RI, Barrington RI and many more RI and CT locations. Do you have rotting or old siding? Are you looking for something maintenance free? 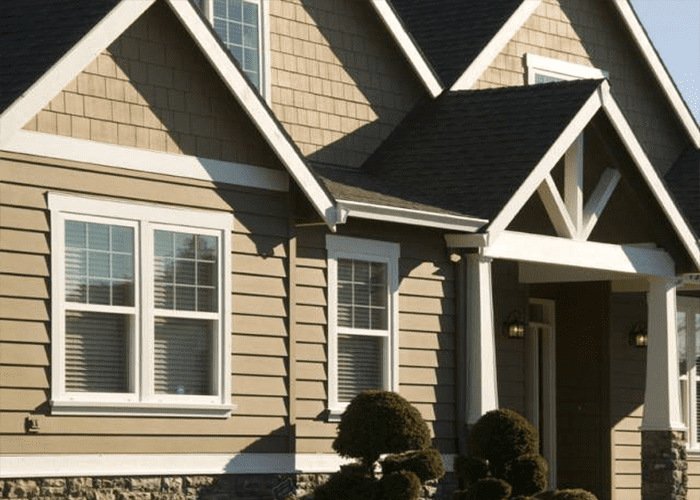 When you need siding on your home or building, Superior Siding Services is your full service, locally owned siding company serving Connecticut (CT) and Rhode Island (RI). Our skilled technicians install siding of all types including vinyl siding and wood siding. We improve the value of your property by making it more attractive. When you choose Superior Siding Services, you’re choosing an independently owned, trusted and established company that is known for it’s commitment to superior workmanship and complete customer service and satisfaction.